The Ashkenazis: Jews or Khazars? Stonehenge. Filming 1954-1958 yy At all times, all governments (and especially outside – and nadpravitelstvennye circles) engaged in forgery. Pictures of 1954 and 1958. This is one of the dark secrets of history and archaeologists don’t talk about it. 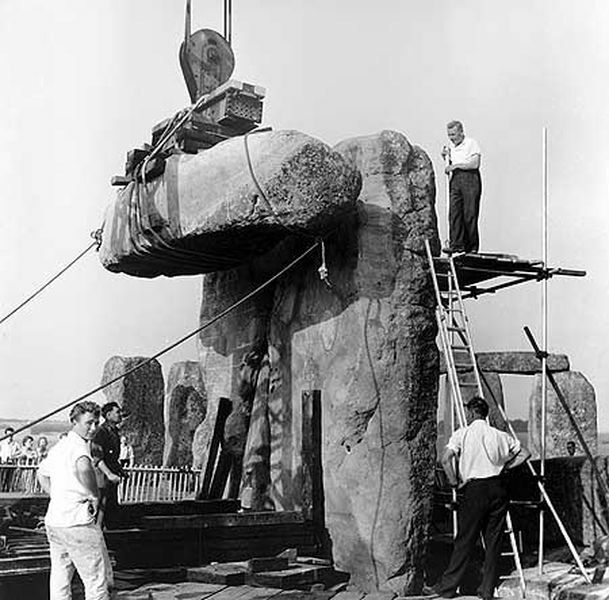 What we see is not the creation of prehistoric people but it has been created by the heritage industry. For decades the official Stonehenge guidebooks have been full of fascinating facts and figures and theories surrounding the world’s greatest prehistoric monument. What the brochures do not mention, however, is the systematic rebuilding of the 4,000 year old stone circle throughout the 20th Century. The information is markedly absent from the guidebooks and info-phones used by tourists at the site. What Happened to Pope Paul VI? “The State Department is committed to taking all appropriate measures to provide information in response to requests from Congress,” a State Department official told The Washington Free Beacon.